It’s not like we didn’t see this coming. With several years of record car sales, low-interest rates, longer loan terms and rising transaction prices, the number of car buyers with that will have to roll over negative equity with their trade has reached record levels. The picture’s not pretty. According to a study conducted by Edmunds this year, a record 32 percent, or nearly one-third, of all vehicles offered for trade-ins at U.S. dealerships have negative equity. By rolling over the balance into a new loan, this puts buyers in a continuous cycle of being underwater on their loan, especially since most buyers who roll negative equity into a new loan don’t bring much cash to the table to reduce the balance. The Detroit Free Press reports that this is starting to impact the market as automaker incentives increase for the holiday season car shopping and auto lenders monitor their loan delinquency rates. It’s the longer loan terms that are especially putting buyers at risk. Too many buyers fall into the trap of thinking that a low monthly payment spread out over 68 months or more makes their car purchase “affordable.” The problem with these long loans is it, naturally, takes more time to pay down the principal balance and establish equity. The other issues at play are that new car prices and loans are on the rise. The average MSRP of a new car is about $34,000, while the average loan new car amount is $29,880, according to Experian; these figures are up 4.8 percent over the previous year. Leasing has also had an indirect impact on underwater trades. Leased cars comprise about 30 percent of all sales. Since these cars are turned in on a three- or four-year cycle this often means a saturated used car inventory, so dealers reacting to the excess supply by offering less for trades. Despite the alarming increase in underwater trades, loan delinquencies have not risen dramatically. Even in a recession, buyers tend to stay current on their loan payments compared to their mortgages since it is much easier to repossess a car than it is a house. What can car buyers do to avoid the financial risk of negative equity trades? The first step is to make sure you can really afford the car you are buying. A simple understanding of what your monthly budget can handle, then working backwards to set a spending limit on your next car is the best way not to overextend yourself. The next strategy is to hold onto your current car longer. Most newer-ish cars are pretty reliable and can last well beyond 100,000 miles with regular maintenance. The longer you keep your car the more likely you are to have equity when it comes time to trade. 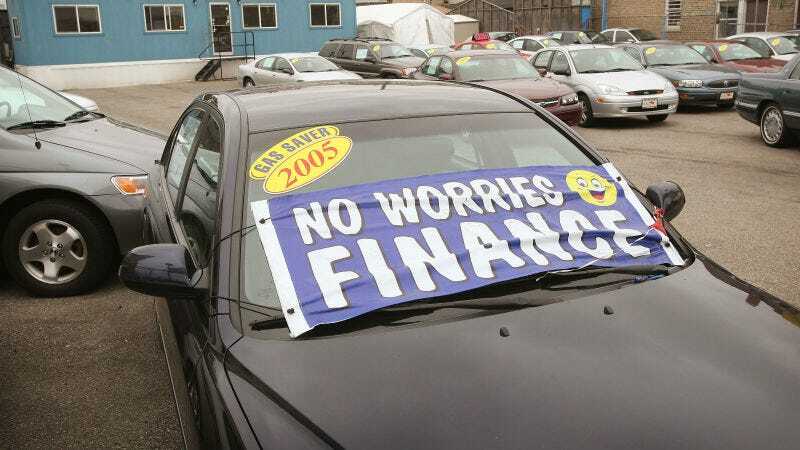 It’s also wise to keep your vehicle beyond the loan term and enjoy the feeling of driving without a monthly car note. Finally, when you do buy a new car, bring something to the table in the form of either cash or equity from another car to stay ahead of the depreciation drop compared to your loan balance.